Stick to extruded on this one mate to be 100% sure. 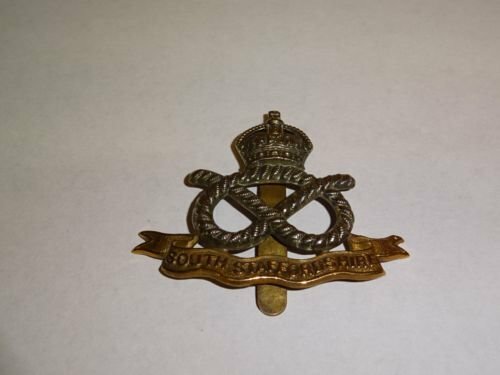 Got this one in the post which I am sure is correct, though there is some debate whether this type is a cap or collar badge. It is 40mm tall. Hello my friends, need your opinion. Are these all original (WWII)? The seller said there is doubt for the middle one. What do you specialists say? Thanks in advance. 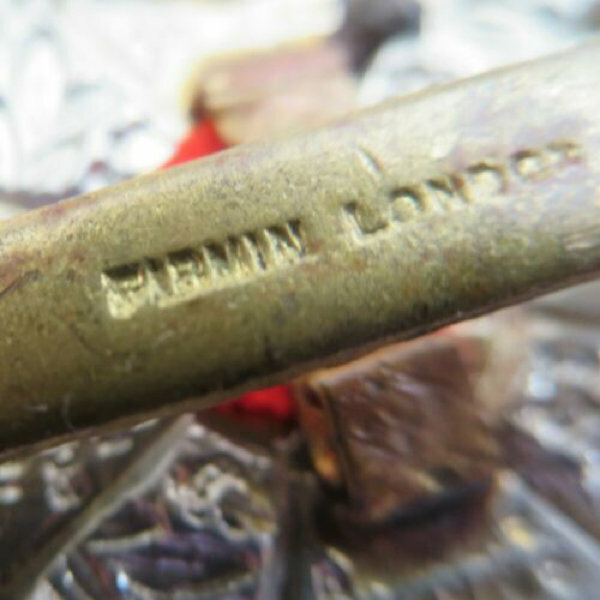 The 24th Lancers would appear to be a genuine Gaunt manufactured other ranks cap badge on lugs; albeit worn on the pennons and crown from I would suspect over zealous polishing by the soldier. I have two very, very worn examples in a 24L group from excessive polishing. €30 is roughly £26, so around the reasonable price range if you don’t mind a little ‘period’ wear. I have seen these badges recently range in price from a few pounds on eBay and the website dealers selling them from £30 to £55. Regarding this very badge beimg hard to find: not in my experience and I see them more frequently than not. However, bear in mind the 24L only existed from mid December 1940 to early August 1944, when it was disbanded in France after seeing some harsh engagements on the front. Thanks @Marcus H what about the other 3 above it? 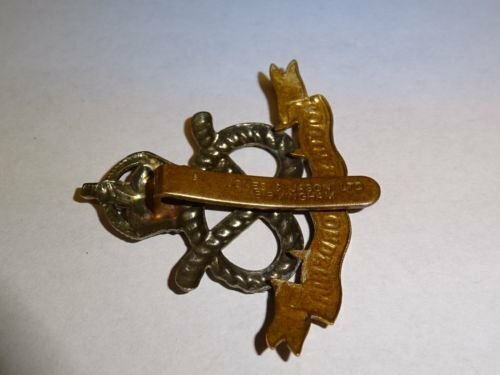 I'm looking for badges for the units that liberated Antwerp (they fit in). 24L do not fit in apparently as you say they were disbanded in France. I personally like the RTR badge (Royal Tank Regiment - Fear Naught), but the other two I’m not conversant enough with to comment on. For ‘Antwerp’ you want the 23rd Hussars, which is indeed also a War Raised Cavalry Regiment - Antwerp 4th - 7th Sept. 1944, is one of the 23H granted battle honours. Many personnel from the 24L were reallocated to the 23H (the 23H being the sister regiment to the 24L) and took part in the entry/liberation of Antwerp and Belgium. Were they allowed to still wear there 24L cap badge? 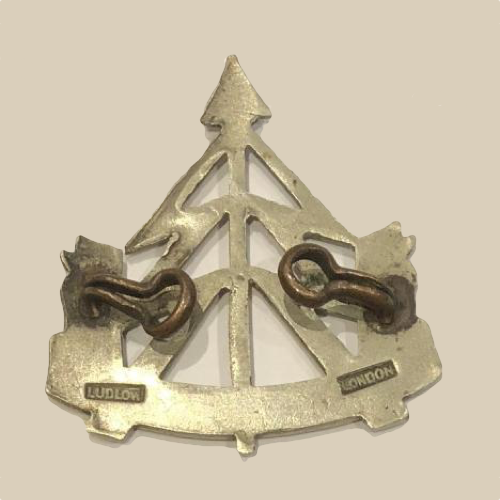 As far as I know the distributed 24L personnel (all ranks) adopted their new regiments cap badges. That is, in my llmited research with photographs and ‘other’ regimental cap badges in groups and personal effects to veterans would attest to this. However, there are always exceptions. It’s possible former 24L personnel that didn’t get attached to another regiment and remained within the rear area ‘replacement pool’ wore their former regiment cap badge until attached elsewhere, perhaps? And, I do know of one officer that wore his black RAC beret with a 24L embroidered badge on it whilst serving with another regiment after disbandment. Alas that was only for a short period as he was subsequently wounded - I own the very beret. The middle badge is The Herefordshire Light Infantry. Post 1949. Thanks, only bought the Royal Tank Corps badge for now. 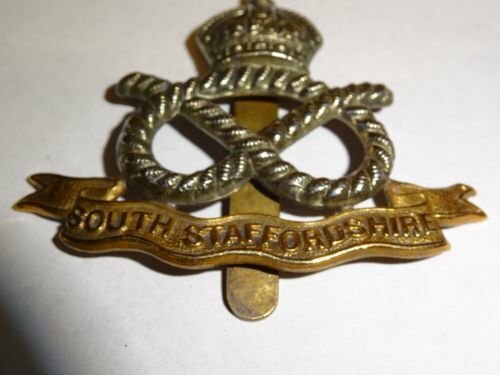 I'm new to this forum and I like to hear your opinions on this South Staffordshire badge, please. 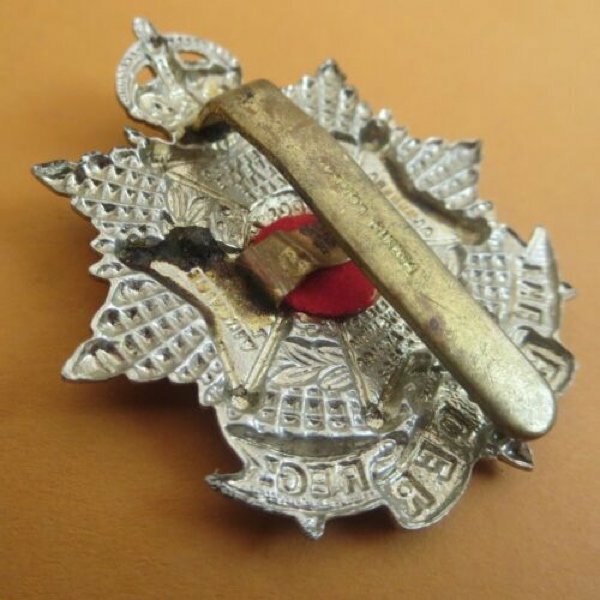 the makers were very short lived post WWII, not at all commonly seen, possibly bogus but an interesting badge, especially if sensibly priced. Thanks for the info, Jerry! 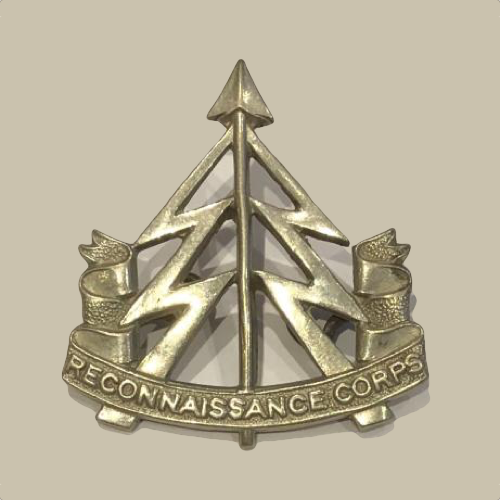 Found this recce badge on the web. It looks good to me and is probably wartime made but what do you think? The recon is a very nice scarce officers cap badge with those lugs. Congrats. 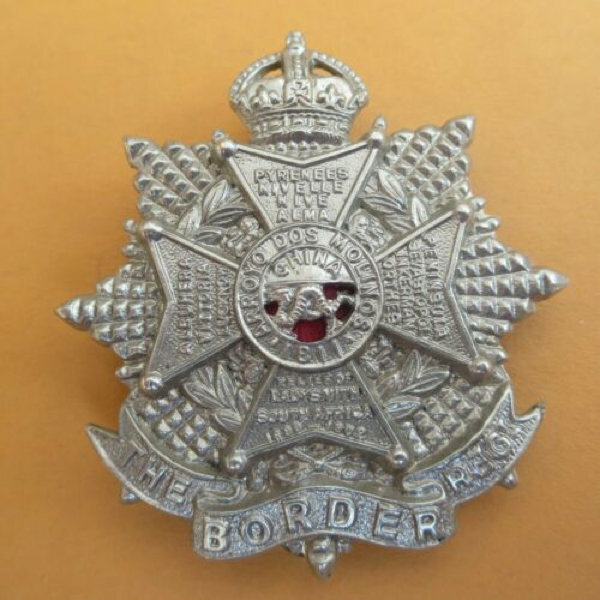 Can I have your opinions on this Border Regiment badge, please? It has a "Firmin" makers mark on the slider. 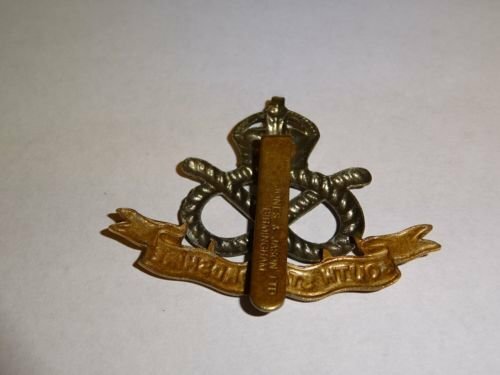 Do you experts think it's a genuine ww2 badge? To be honest I have no idea, thanks for your help in advance.